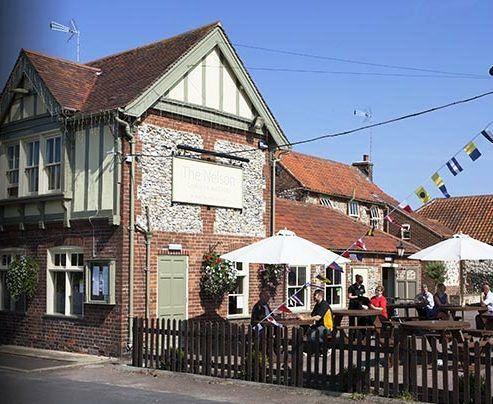 This page lists hotels in the Norfolk village of Burnham Market. The large green at the centre of the village is surrounded by attractive Georgian houses and cottages, and there is a surprising range of independent and specialist shops. Nelson's birthplace is nearby at Burnham Thorpe, and the Norfolk coast is only a few miles away. The famous Burnham Market horse trials are staged near here twice a year. Four-star seventeenth-century country inn with bar, restaurant and accommodation. The restaurant provides a seasonal menu using locally-sourced ingredients and is available for functions and parties. The Hoste is a four-star hotel in the centre of Burnham Market providing accommodation, a restaurant and spa. This four-star hotel is five miles from Burnham Market at the harbour resort of Wells-next-the-Sea. It overlooks a green and is only a short walk from the quay.